Refer to Dept 10 Rules and General Rules. 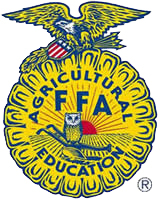 4H Members who wish to exhibit in Open Class must register in Open Class. All 4H posters are 14″ x 22″. All 4H judging will be done on Saturday after Round Up. No 4H Entries accepted Sunday or Monday. DEADLINE: Exhibit Entries must be postmarked by July 15. Contact Idella with questions regarding Exhibits, Premiums, Classes, etc. *Do NOT use the Exhibit Registration and Entry form for Animals or Contests. This award is in memory of John Stamm, Jr., who firmly believed that the written/printed word was our lifeline to the past as well as the future. Open to children ages 6-12, Open Class or 4H. Does NOT need to be farm related. Must include research information, i.e., documentation describing the process or information learned. A joint family project is encouraged — siblings, parents, grandparents. The child should participate as much as possible with help from the family.